I have to start with a confession, I forgot to mention that I was back on the badminton court (where I did my ATR) in week 14 and 15. These were 60 min badminton sessions where I did some warm ups, coaching and feeding shuttles to my daughter. I limited any movement to slow & small steps, leaving any shots hit further away from me. This is nothing like playing a proper game, but it felt great to just hit some shuttles again. Day 1 : no gym, but 90mins on a badminton court. Knock up, coaching and feeding shuttles to my daughter. I limited movement to one step back, forward or sideways. Did my best to leave any shots hit further than a step away. Day 4 : 20 mins warm up in the gym, then 60mins on the badminton court (same approach as Day 1 above). Day 7: gym workout - got clearance from physio today to move from fast walk to an actual jog. So went to the gym in the evening and did my first jog which was 2 min jog, 2min slow walk, then 4 min jog. The jog went well. Interestingly it was my good leg (left) calf that felt more tired with a little muscle “burn” below the knee. It didn’t persist so hopefully nothing to worry about. Reduced the reps on the rest of my workout as a precaution whilst the jogging settles in. Day 2 : no gym, but a couple of hours of gardening and clearance including heavy shifting with a wheelbarrow. Day 3 : no gym, but a couple of hours of gardening and clearance including heavy shifting with a wheelbarrow. Day 6 : gym workout with jogging. Slightly increased time to 3+2+5mins. 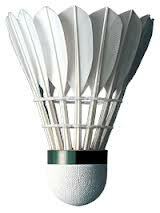 Day 7: no gym, but 60mins on a badminton court. Small increase in movement around the court. Managed 2 sessions in the gym, lots of walking on a family day out, more gardening and a clear out of the garage. That takes me to the end of month 5 ! Hooray ! A jog at week 20 sound divine! Clearing out the garage, not so much Although, it must feel great to get back to normal activities. I like how you detailed your schedule. I’m working my way through your videos–they are very helpful. Thanks! Best of luck with your rehab! thanks so much for you sharing your progress, the info about the VAco Ped is really useful.. Vaco Ped ( or any archilles boots ) in HK is really rare, my first otho never suggested anything like that so i was straight into shoes after my cast came of 4 wks after surgery and unfortunately had a partial rerupture at 8 wks just crossing the road. so this time i really wanted to have the protection of the boot. Found a 2nd ortho, never used boots (in his almost 20 yrs of practice ) but has agreed to let me use one and so now i’m looking up for all kind of info regarding the VAco Ped usage and rehad protocols.. so your site is invaluable to me, thnx so much, especially on sharing the videos! Thanks both for your kind comments. Kelly, not been able to spend much time on here recently, but just had a quick look at your story. Good to see your adapting to crutch life. Still early days for you, hang in there things will improve a lot as you move through the weight bearing phases. Good luck with getting your ortho to agree on your rehab preference. I was given an old school rehab and never managed to get my ortho to agree with faster rehab. I just had to ignore him in the end (- no recommendation intended) !! Happy healing. Mum of 3, well done for persisting with the boot route. Has your 2nd ortho given you a protocol to follow with your boot ? 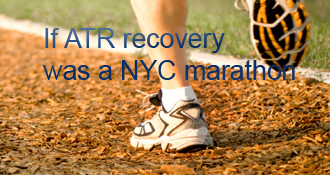 You will find a lot of differences in timings of fellow ATR club members rehabs. Your ortho sounds a bit like mine, he has given you a boot but doesn’t really know how best to use it (?). I made a choice to loosely follow an accelerated rehab route (ie early controlled mobilisation and weight bearing), but I never forced myself to meet any particular rehab timetable. It was always judged on whether my ATR leg felt ready and comfortable moving to the next stage. Good Luck & feel free to ask if anything is not clear from my posts. John, I expect the healing is progressing ok, although it does get nervous before you try to use it again. The lack of physio is not ideal though. If you read some of the accelerated protocols you will see that physio starts as early as weeks 2-4, normally with very gentle active ROM exercises. I got no physio advice from my NHS clinic, so I just started AROM at home. You can read my timings in my early posts. I have also posted videos showing how my ROM improved. AROM is something you could also consider starting at week 5 given you have a boot. Be gentle, don’t force anything, and do not go past neutral until you have seen the specialist at week 8. I tried to post some photos. So obviously didn’t do correctly. I’ll try again. RRR, yes, my suggestion was to do it seated. Although it is possible to use weighted bars standing up, I prefer seated leg press as it feels safer and more controlled when starting out on the gym work. For your info on my bad leg at week 18, I was doing about 70-80 Kg single leg press with foot flat on the board. This translated to 20-30 Kg only when pressing off the bottom of the board with just the ball of the foot. As stated above I had built up to this over 3-4 weeks, being incremental is important to avoid injury. Also for safety set the seat high enough that you are automatically stopped from going too far into dorsiflexion as your tendon tires out from the repetitions. Hi Alton, thanks for speedy reply, will try using seated leg press for ball of feet this sounds good, I’m doing single leg at 60 k but with flat of foot ill try ball of foot lowest weight and progress from there, when you say try single leg weighted you mean seated right? Hi RRR, great to hear you are making progress. I have had a look at my gym diary and can give you some comparisons of good vs bad leg. I used the seated leg press machine to do my heel raises (shown above, where you put your feet up against the board, set the seat high so that the leg is straight and push off from the toes). I did one-legged heel raises on this machine throughout so was tracking both relative strength, good vs bad, and absolute improvements in the bad leg. I have worked out you are in week 18 now. At the same stage my readings were 20 moving upto 30Kg on single leg using the bad leg. I was able to do 10 reps, reasonable quality at the start and poor quality/struggling by the 10th rep. With a short rest in between I was able to do about 3 x 10 reps. The good leg, I could manage 60Kg, however I kept my workout at 40Kg so as not to push the good leg too hard and risk injury. I am getting fed up at the moment. I am now 5 weeks into the rupture. I had a back slab for 10 days followed by nex step walker boot. I have taken 1 insert out of the boot (week 4)and another comes out at week 7. I see the specialist again in early July (between week 7 & 8.). I seem to have been left to my own designs. I am weight bearing and not using crutches around the house. No physiotherapy yet and not meant to take the boot off, though I do loosen it some nights as I get pain in my big toe! There doesn’t seem to be a right and wrong way to deal with it but I am frightened it wont have healed. Any thoughts? sfce, I have been very pleased with my ultrasound. I used ultrasound and a hand massager. Together they really helped a lot with my swelling. I didn’t ice during my recovery and the hand massager was compact enough to use at work. Also I think it helped with the healing process. Purely my opinion, there is no strong clinical proof for this effect. There are some animal studies showing improved early stage tendon strength using low intensity ultrasound. Something to do with the effect on collagen in the healing process, but similar human trials are not possible. I hit week 3 tomorrow and will move into my VACOCAST from a CAM Boot with a 2CM heel lift. How is the ultrasound working for you? I was looking at those online, not bad pricing. I need to increase in the iciing as I have not been discpline at all. Great video, tune and commentary, nice going and congrats on the speedy improvements. Oliver, being cast for 4 further weeks puts you on a traditional conservative treatment path. It would be preferable to benefit from early weight bearing and mobilisation using the boot during weeks 5 to 8. It is unusual that the Vacoped boot is proving so uncomfortable compared to a cast. Both are heavy, but the boot gives a lot more flexibility. With crutches the boot is also easier to walk in as you can lightly roll across the rocker sole. Could you explain what it was that you found difficult to cope with in the Vaco. What angle was your foot set to in the Vacoped ? Which sole did you use (rocker or flat sole) ? Did you try to partially or fully weight bear during the one day in the boot ? This would feel uncomfortable as weight bearing should be built up over a few days or weeks as tolerable. Thanks for your feedback ryanb & kkirk. Day to day, it felt like the changes were very slow, but looking back at the earlier videos has really helped me appreciate the improvements and to remain focussed on what I need to do next to keep pushing forwards. Am now 3.5 weeks post rupture. Tried vacoped rather than cast 2 weeks ago for a day or so but could not cope and went back to cast. He put me back in vacoped today but it is to cumbersome for me and I am going to go back into cast for the final 4 weeks before I should be able to walk again. The reason to keep me in vacoped is so that physios can work on me twice a week but I think another 4 weeks in cast is not going to make too much difference. What do you think? Man, your walk look great and the heel raise is way better than mine Glad to see all your improvement from last month. I think that is a BIG improvement in 1 month. Lori, my initial single heel raises were really hop ups just to get the heel off the floor with the knee rolled forward and centre of gravity shifted forwards. I have a Week 19 video update which shows them. Between month 5 & 6 was when I first managed to do controlled lifts but height is only a quarter to a third of the good leg. It is frustrating bit keep at it & good luck. Next week marks 5 months post surgery for me, and I STILL cannot do single-leg heel raises! It’s the one thing I still cannot get my foot to do, no matter how much mind over matter I try! (I still come down steps like a child, most of the time, too… one step at a time, but that is getting better. But the heel lifts? Not at all. ali39, buddelp1, RRR, thanks for the comments. My heel raises have continued to improve, becoming less “hoppy”. I’ll post up an end of month 5 (week 22) video update later this week. I think your bad leg heel raise looks great. You haven’t used it in 19 weeks so it’s weak. I am at that point and I think you walk better then me. I still use a brace on bad foot so I don’t over do it. All this stuff will come in time. For me the times that I wasn’t positive or thought this would ever heal were the worst. Now I realize that my attitude and knowledge of why it takes so long to heal make me feel good. Blood just doesn’t get to the tendon as fast. If you are a hockey fan how about that Ottawa Senator Defensemen that came back in 2.5 months–too early. His play is suffering and I think he came back to fast. You know hockey players. Agree with the above, my first thought was about the over pronation. I have the same problem, the inserts do help. getting the bio mechanics right is fundamental. Fab progress, it will come and love the video. ryanb you are spot on. Getting the heel off the ground even using a hop action feels like progress. Also I have been doing the roll forward centre of gravity cheat. As strength improves I am cutting back on the cheat, but it does require real focus to resist. RRR, cheers. Given your powers, any tips on tomorrows Euro Lottery numbers ? norm, you and my physio are in agreement on the pronation support. I just need to get used to those darn support insoles. I am continuing to push the heel lifts as I need the strength in the toes for next stages of sport rehab. I’ll be over the moon when I get to controlled half height multiple lifts with no cheats. Your “good” ankle seems to be pronating a little in the walking video. Might help to use a footbed with some (more) arch support. When I watched your heel-lift video, I was thinking “Shoot, I don’t have much more than that after 2.5 years, and I’m doing fine”! Then I tried a few, and I actually do have more: Almost half-height, any speed, multiples OK. I didn’t remember having that much strength. Funniest thing was that when I stood up and started to try the heel raise, I got my two legs confused and started with the wrong leg!! Maybe that’s another “milestone”!?! Or maybe just a mature moment. . . Or probably just a reflection of the fact that my right (”good-side”) knee is holding me back way more than either ankle. 9 days ’til I see the sports-med “guru” about the knee. . .
You’ve got to walk before you can run; and I think you’ve got to “hop” before you can do the smooth heel lift. These days, I focus hard on making sure I don’t hop when doing them- it can be a tough habit/cheat to unlearn. The other thing I found myself doing - to help cheat them up - was rolling my knee and center of gravity forward, rolling rather than lifting. The next progression for you might be isometrics. Use both legs to lift yourself up, but then shift onto the good leg and try to statically hold your position at various heights off the ground - just with your injured leg. Those and controlled 2-up/1-down exercises will help build the strength. It should have the info you need to post photos. Thanks Norm. Yes I went non-op with a “do it yourself” protocol as my hospital had a traditional slower approach. I agree the surgical/non split would be useful extra data on the widget. I need to look at my moderation settings, they ensure the spam doesn’t clog up the pages, but everything is being filtered at present. No problem kkirk, I’ll try to put some details up on the increments / weight progression I’ve had across the first couple of weeks workouts. Need some spare time to collate the notes I have kept. I’ve been off the blog since Easter, so sorry to hear the knee is playing up. Hope things settle down on that front soon. All the best. I temember now — my comments here always “await moderation”!! Sounds great, Alton! Keep on keepin’ on! Hey Ripraproar, no, I’m not a villa fan. I like watching good football but don’t follow any particular club. Good to hear you are in 2-shoes. Unfortunately aches and pains during rehab do keep popping up. If its the heel that is sore then try adding gel pads or using more cushioned shoes. Just take care if the pain becomes severe or doesn’t subside after a few days rest, then a call to the doc or physio may be worth some piece of mind. I have set up blog but can’t change title . Hi Ripraproar, good to hear from you. I have been off the blog for a couple of weeks with Easter. I am doing great thanks and well past the 20 week “danger zone”. Progress is slow and steady at this stage, but so many day to day movements feel normal again. The limp rarely shows itself now and I am now jogging on the treadmill, gardening, lifting heavy items etc. Now Easter is over I will update as promised (honest). I drafted an update post for weeks 18 & 19, but then haven’t had the time to edit and add the video updates. I should keep my posts simpler, then I wouldn’t fall behind….! Have you set up a blog? How are you progressing ? Hi Lorraine, click onto my Week 8 post where I posed a similar question after my boot came off. There are a range of replies. IMHO, I don’t think that driving a standard vehicle whilst wearing the Vacoped boot is advisable. Amongst the risks to consider are : your ability to drive safely for your own recovery, risk you could pose to other road users, whether your insurer would repudiate any accident claim by you, risk of criminal proceedings in the event of an accident. The Crown Prosecution Service in the UK cites “driving when unfit, including having an injury” as an example of dangerous driving court cases. Driving becomes lower risk when the boot is off and you have enough strength and co-ordination to carry out emergency stops consistently. For me this came after 12 weeks. I am with my vacoped and coming into week 4 of use I am weight bearing and have one crutch for going out and about. I want advise about driving is it even possible with the boot. My work takes me about 54 miles from home and they want to know how soon I can get back to work, I have to drive to work. Ripraproar, thanks for the positive feedback. I am glad they are helpful. I was worried the videos were just going to be for my own amusement. alton2012uk’s UK Achilles Tendon Rupture Recovery Blog is proudly powered by WordPress and WPDesigner..